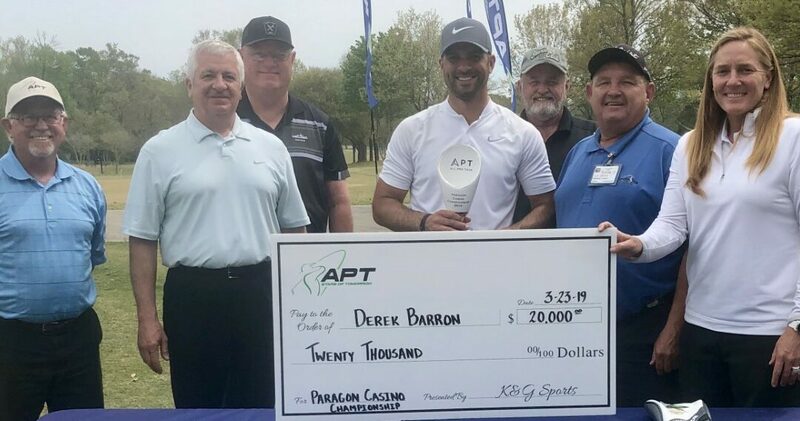 In a battle that came down to the final hole for the Paragon Casino Championship, Derek Barron edged out Franklin Corpening and Grant Hirschman by one stroke to take home his first win on APT. Four golfers were in the mix for a playoff at 14-under par until the 18th hole, when Barron stepped up and drained his 35-foot birdie putt to claim the championship at 15-under par for the tournament. Barron’s brilliant putting throughout the tournament boosted him to victory. All Pro Tour takes a break until our Houma event in mid April.